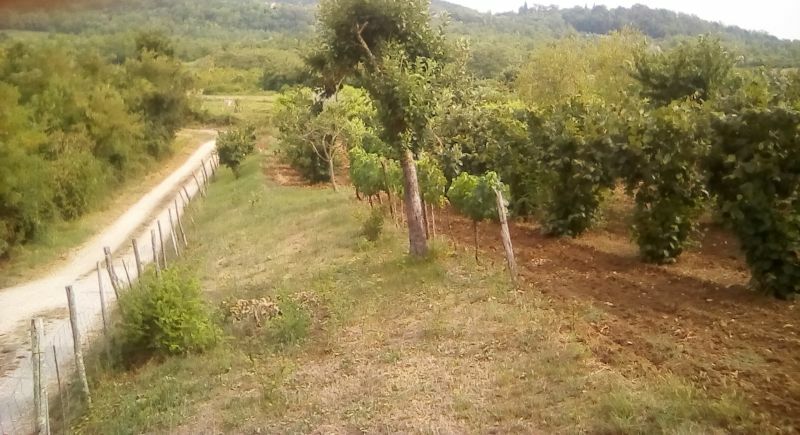 We are pleased to offer this gently sloping 900m2 rectangular level plot with good views of Motovun. 400m2 of the plot is building land and utilities are in the flanking road running down one side of the plot. You could get a permit to build a 160m2 house upon it. 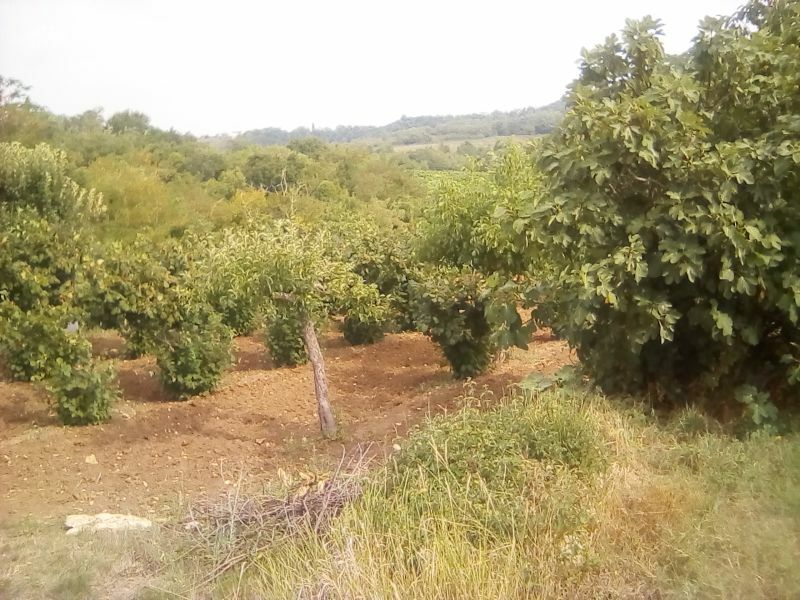 The plot is currently an orchard. The hamlet of Bataj is well known for its multiple award winning wines. 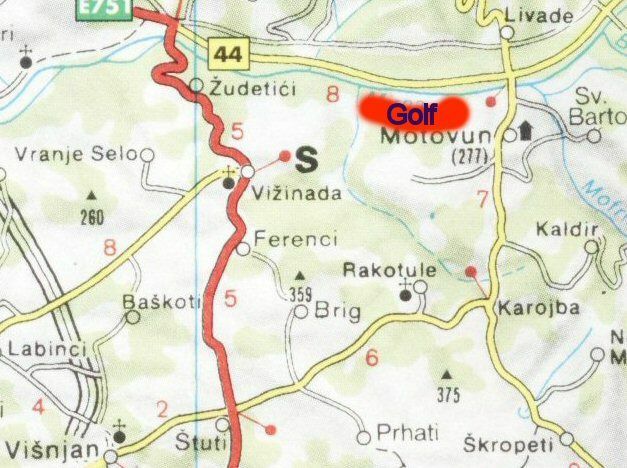 The Myrna Valley truffle bearing forest is 15mins walk away, as is the Motovun golf . 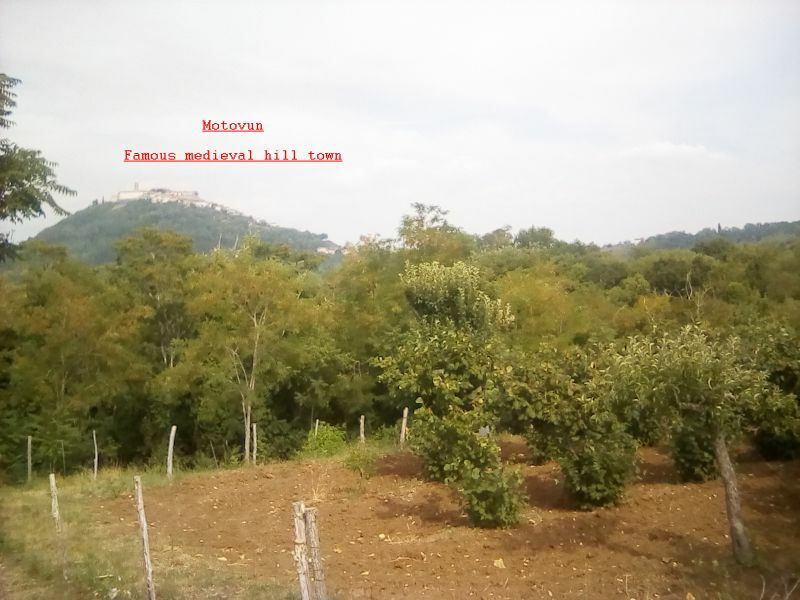 The famous medieval hilltown of Motovun, with its Post Office, shops, restaurants, bars and ATMs is 10mins drive away. The sea at Novigrad, where there are more excellent restaurants, bars, banks, supermarkets and a major marina is under 30mins drive down the Myrna Valley road. Air access is around an hour away at either Pula or Trieste, both Ryanair. During the summer, Pula has direct flights from many parts of Europe from several low cost airlines. 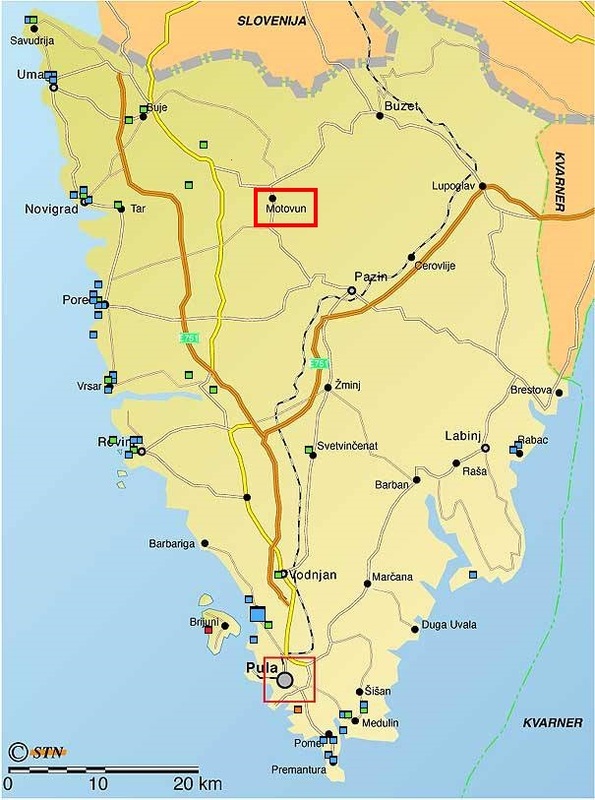 Light aircraft can land at Portoroz, just over the border in Slovenia. We can help with architects and builders. 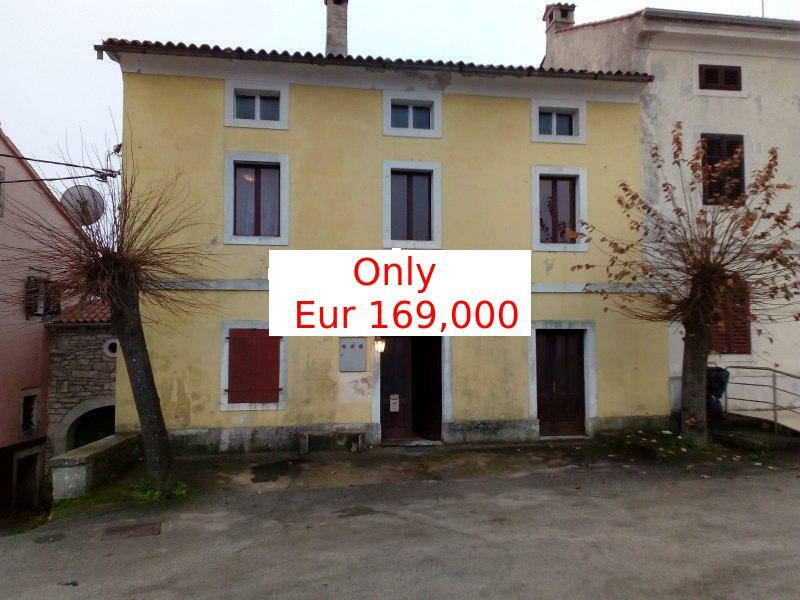 Price: Eur 38,000 (Kns 285,000) subject to contract.